College will normally work for 8 hours from 9.00 a.m.
Students should be seated in the respective lecture halls 5 minutes before the commencement of the class. Movement outside the classroom between lectures should be minimum and for valid reasons only. They should bring calculators everyday and drawing instruments and charts whenever needed. They should avoid borrowing them from other students or try to procure them after coming to college. Observation notebooks should be brought to the laboratory classes. Record of experiments done in a particular laboratory hours should be submitted in the next laboratory hours. Using of Drugs inside the campus is strictly prohibited. Students should attend all tests and show good academic progress. Absenting from regular classes will be strictly viewed and absenteeism in the test/exam will be viewed with atmost sternness. Regularity in writing the test and satisfactory performance of students in test are essential to permit the students to appear for the University examinations at the end of the semester. All students should wear clean and appropriate dress. Gentleman should wear trousers with shirts neatly tucked in. Tee shirts, Jeans and other casuals are strictly prohibited in the campus during normal working hours. They are expected to wear shoes. Ladies should wear salwar & chudidhars. Half sarees, midis, jeans, Teashirts are prohibited inside the campus. They are expected to wear shoes. A minimum of 85% attendance is expected, in each semester, necessarily to enable a student perform better in the University examination. Students are not allowed to avail leave without getting the proper permission from respective HOD, Class incharge & Principal. If any medical reason the proof of medical certificate is Mandatory. Leave will be sanctioned to the students only after the confirmation from the parents either by written document or by phone calls. Students are not allowed to take leave of absence for more than 6 days in a semester. For any medical reasons submit the medical certificate from the respective doctor. Students who absent themselves without permission will be deemed to have been absent for 2 days. Continuous absence from class on medical grounds will be permitted only on production of medical certificate and letter from parent. Names of students who are absent continuously for more than 12 days on any account with or without permission will be struck off the rolls. The National Service Scheme was launched in Mahatma Gandhiji’s Centenary year, 1969 to develop the student’s personality through community service. As a part of the academic programmes National Service Scheme (NSS) has been functioning as a regular feature in the realm of our university education. The overall objective of the scheme is to serve the community through which the objective is to be achieved. It is a student–centered programme in which projects are implemented by the NSS volunteers in the community in close collaboration with the clientele community and thereby it provides vast scope for the students’ interaction with the people. While interacting with the community the students learn many things, which they cannot learn from theory classes. Thus the scheme is designed to develop the human soul in a way, as the student is mentally shaped to fit into the society to which he also belongs and will continue to live in. The symbol of the National Service Scheme, as appearing on this page of this Manual is based on the “Rath” wheel of the Konark Sun Temple situated in Orissa. These giant wheels of the Sun Temple portray the cycle of creation, preservation and release and signify the movement in life across time and space. For the Past three years the National Service Scheme has been functioning very effectively in this college. Many community oriented services and student Centered services are successfully carried out in the past three years. To observe the birth Anniversary of late Sri Rajiv Gandhi former Prime Minister of India Sadbhavana Diwas is celebrated on 20th August. The students, Staff members and the Management have taken the Sadbhavana day pledge to promote good will, national integrity and communal harmony among the people of India irrespective of caste, creed and religion. A blood donation camp was organized in our college campus on 09.09.2012 in co-ordination with RRC Unit in our college and Government General Hospital Medical team members, Cuddalore. 15.10.2012 was observed as World Students Day declared by UNO in the honor of our former Indian President Dr. A. P. J Abdul Kalam. Guest Lectures have been arranged for the students to develop their personality. An Eye Camp was organized in our college campus on 25.03.2011in coordination with RRC Unit in our college. Civil engineering is a professional engineering discipline that deals with the design, construction and maintenance of the physical and in a naturally built environment. Civil engineers build the world’s infrastructure. In doing so, they quietly shape the history of nations around the world. Most people can not imagine life without the many contributions of civil engineers to the public’s health, safety and standard of living. Electronics and Communication Engineering Department aims to provide a program of high quality to produce creative technocrats those can address the challenges of a new century and excel at an international level In order to enhance global prosperity by fostering technology worldwide. Our graduate will successfully employ in electronics related fields or other carrier paths, including industry, academic, government and non-governmental organizations. Electrical and Electronics Engineering has an excellent and progressive Academic record. 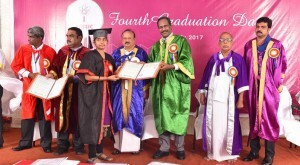 The department has provided to the students to attain technical excellence in the field of Electrical and Electronics Engineering and given quality education through effective teaching learning process for their future carrier. Mechanical Engineering plays a vital role in manufacturing and technological advancement. It is arguably the broadest of the main Engineering disciplines and the department equips the students with analytical depth in a wide range of engineering subjects, balanced with practical experience and essential transferable skills. The Department has made substantial investment in up-to-date equipment in its laboratories and has enviable computing facilities. The college has a library and Information Centre which plays a vital role in achieving the cherished objectives of improving the education standard by stimulating academic interest among the students community. 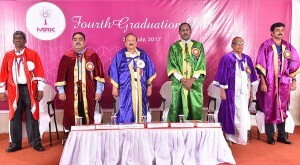 It has separate reading and reference sections to serve the under graduate and post graduate students.It has huge collection of 14550 volumes of books under Science and Humanities, Engineering and Technology, Management and Computer Applications with 2500 titles. Apart from this, it has digital resources facilities for students and staff such as DELNET & IEEE online journals. It is fully automated and all the transactions are Computerized. Books are classified and arranged according to the DDC (Dewey Decimal Classification Scheme).Added to these, the library has OPAC (Online Public Access Catalogue) facility to enable easy access for the user. It also has a collection of books related to TOEFL, GRE, GATE (All branches), CAT, civil services examinations to help those students to prepare for competitive examinations and placement training. The Boys’ Hostel spread over two floors and accommodates about 600 students. The boys’ hostel has separate library, reading room, shuttle courts and a shop to facilitate the students. The hostel blocks also have STD facility. The Girls’ Hostel spread over two floors and accommodates about 500 students. The Girls’ hostel has Shuttle courts, Table tennis and a shop to facilitate the students. The hostel blocks also have STD facility. Students are not allowed to stay inside the hostel during college hours without obtaining prior permission / leave from the warden. Disciplinary actions will be taken against the student who goes out of the hostel without permission. Getting permission and not returning in time will be viewed seriously and further permissions will not be granted. No student shall leave the hostel after 6.30 p.m.
Study hours have to be strictly followed with perfect silence in the hostel from 8.00 p.m to 10.00 p.m daily. Watching television after 8.00p.m is strictly prohibited. Timings should be followed strictly. Meals or snacks should not be taken to rooms. No student is permitted to take the utensils like tumblers, plates etc to the room from the mess. Severe action will be taken against violators. Students are denied entry to the Kitchens and Pantries of the Hostel. Students in the hostel must be friendly with the fellow students. They should not quarrel or fight for any reason. Any dispute between students must be brought to the notice of the Warden/ Deputy Warden. Organizing groups on the basis of linguistics, religion or any other kind inside the Hostel premises is strictly prohibited. Students are responsible for their own belongings and should not possess valuable items like gold. Students are advised not to leave money or valuables in their rooms. The Management will not be responsible for loss of such valuables and money. Illegal activities / Misbehavior / Using Bad languages and rude signs in the hostel premises may result in immediate expulsion from the hostel. Any damage to the Hostel properties by the students in their wing will lead to collection of compensation from the concerned students of that particular wing. Students are not permitted to interfere in any way with the electrical system in their rooms. Playing cards and other indoor games inside the room is strictly prohibited. Students are not permitted to use any electrical & electronic items like radio, heaters, iron box, walkman etc. The cleanliness of rooms and all toilet facilities must be carefully preserved. All waste must be thrown in the dustbins provided in the rooms. The walls of the rooms should be clean. Pasting posters or driving nails in the walls is strictly prohibited. Severe action will be taken against violators. Taps and lights must be turned off when not in use. Night stay in local guardian’s house is not permitted. Permission will not be given for tuition and computer classes outside the campus. Phone calls are encouraged if it is from the parents. Phone calls after 10.30 p.m. are not encouraged.
. No student is permitted to possess mobile phone inside the hostel premises. Student can use the coin phone provided in the hostel with the prior permission from the Warden / Deputy Warden. However phone calls are not permitted after 10.30 p.m.
. Computer / Laptops are allowed only for education purpose. If computer / Laptops found being misused. It will be seized immediately. All illness must be reported to the Deputy Warden, who may call for medical aid. Permission letter from parents, leave letter and permission forms should be duly filled by the student, when he leaves the hostel to his home or outside the hostel. Letter addressed to the student should bear the room number also. Mess will be closed after the last day of the regular University Examinations. Late comers to the hostel at night will be severely punished. Students have to get prior permission from the Deputy Warden / Warden to use the Computer labs, Library and Game Kits after 6.30 p.m.
Students should avail only one permission in a month to go home or Holiday. They should not go home on other occasions except with specific permission. Students should carry the ‘Hand book’ when they go out on permission and entry must be made. The furniture provided to the students should be neatly maintained and if any damage or defacing is done repair charges and painting charges will be collected. No visitors / Day scholars are permitted to meet the students in the hostel without the permission of the Warden / Deputy Warden. They are strictly prohibited to enter the rooms of the hostel students. Hostel students found violating this rule will be expelled from the hostel. A student dismissed from the college is dismissed from the hostel also. Non – obedience to the rules and regulations shall lead to the expulsion from the hostel and the College. 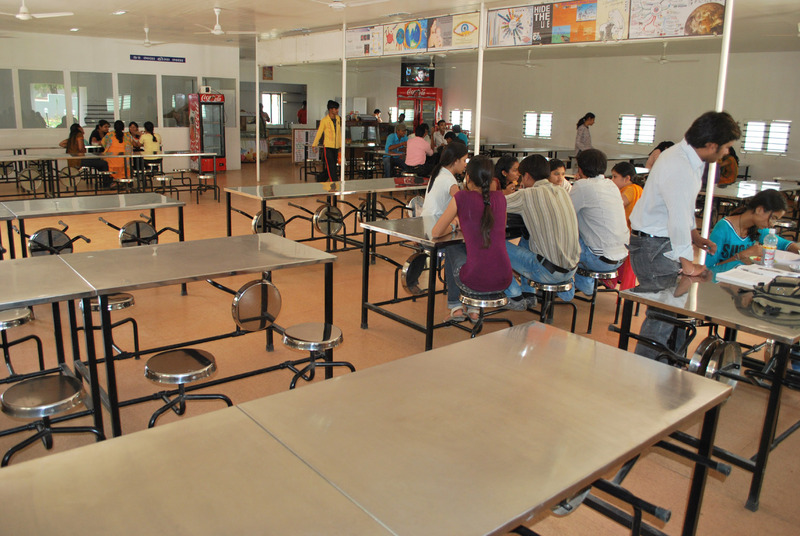 The college is providing canteen facility to the students as well as teaching and non teaching staff of the college, it is capable of catering the demands of the students and can accommodate 400 persons at a time. It has spacious & properly maintained room as well as kitchen. Generally the college provides it to any individual on contract basis after proper officials formalities. The canteen offers a wide medley of hygienic, nutritious South Indian Vegetarian and Non-vegetarian wholesome edible food. Arrangement has been made for the boys & girls to dine separately. The College canteen also caters to the functions organized in the college auditorium & other related programmes like seminars, conferences and workshops. The College has adequate buses which are made available to the students and the faculty members for commuting from various points in and around the town. All students should make use of the college transport or should stay in the hostel. This facility has made it possible to start the classes in time and thereby helping the academic process. Our bus facilities have enabled us to maintain discipline among students. All the buses reach the Campus before 8.30 a.m., so that all the students and faculty can have their breakfast and get ready to attend the classes at 8.45 a.m. The buses leave the campus at 5.00 p.m., which helps all the students to reach home early and safely.